We’re excited to announce some seriously LOUD sponsors for this year’s WarBird Auto Classic! First up… iHeart Radio has all your favorite music, all your favorite stations, ALL FREE. Listen to thousands of live stations or create your own artist stations. Let the music play! 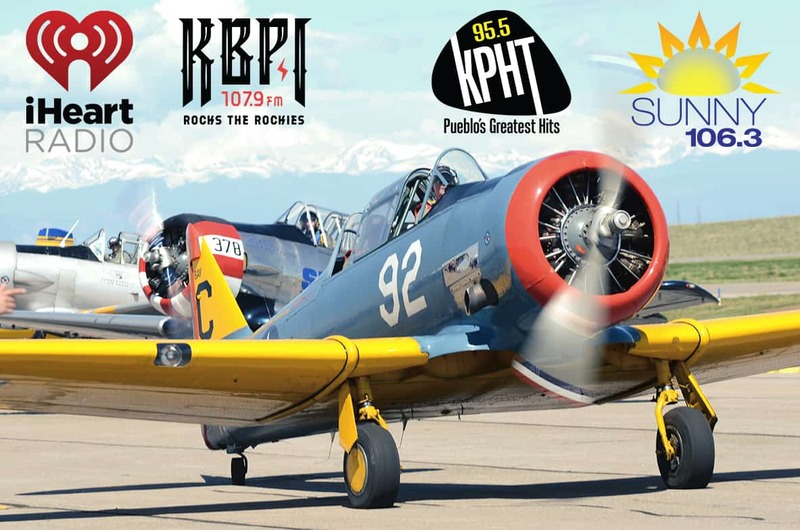 In addition to iHeart Radio, we have three awesome local radio stations sponsoring the 2018 WarBird Auto Classic—catering to everyone’s musical tastes and sretching along the I-25 corridor; KBPI, KPHT, and Sunny 106.3! KBPI 107.9 Rocks The Rockies! Stay tuned-in by following their Facebook or listen live on their website! A special thanks goes out to Willie B’s Garage, which airs every Saturday morning at 9AM on 107.9 KBPI in Colorado, or on iHeart Radio anywhere in the world! Featuring auto industry news, performance talk, and even featuring a swap meet helps you buy, sell or trade for your dream car. KPHT 95.5 features Pueblo’s Greatest Hits! Stay tuned in by following their Facebook or listen live on their website! Sunny 106.3 features The Best Variety Of The 80’s, 90’s and Today! Stay tuned in by following their Facebook or listen live on their website!